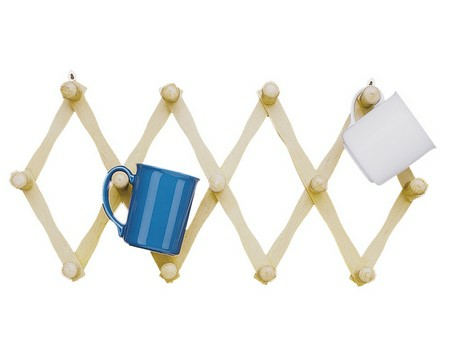 Great for holding mugs, dish towels and many more items in an orgazined yet accessible way. Made of wood and contains 13 pegs. Measures 4 x 13".